Fraser Valley/Vancouver (With files from Angus Reid) – Every January, it seems as when some us take bother to take a look at our financial plans, we keep putting off making a will. 18 months ago, Prince died and didn’t have a will and that set off a legal firestorm. While you may not have the fortune of the Purple One, the latest Angus Reid poll numbers suggest you get to it. When the world learned that Prince, an artist whose estate was worth an estimated $300 million, died without a will in place, it caught many by surprise. A slight majority of Canadians share at least one thing in common with the pop legend: a lack of estate-planning. 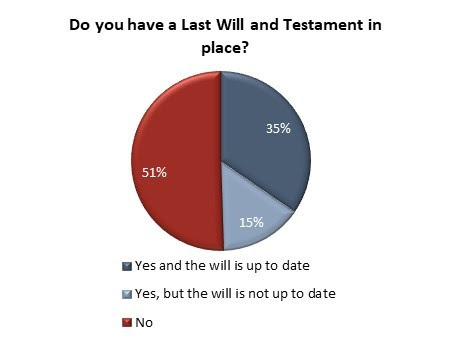 A new Angus Reid Institute poll finds that half of Canadians (51%) say they have no last will and testament in place, while only one-third (35%) say they have one that is up to date. In other words, half of Canadians are set to have no say in what happens to their assets should they die, and nearly one-in-six have wills, but haven’t kept them up to date. Why are Canadians putting off estate-planning? A significant number say the reason they haven’t written a will is that they’re “too young” to worry about it (25%), and almost as many say they don’t have enough assets to make a will worthwhile (23%). Be the first to comment on "Still… No Will?"